This is going to be a little bit of a cop-out post because I'm fairly exhausted from yesterday. I didn't get home from the vet clinic until after 11:30, stayed up for a few hours going through old photos, and then went to work on less than 4 hours sleep, so I'm still a bit useless. 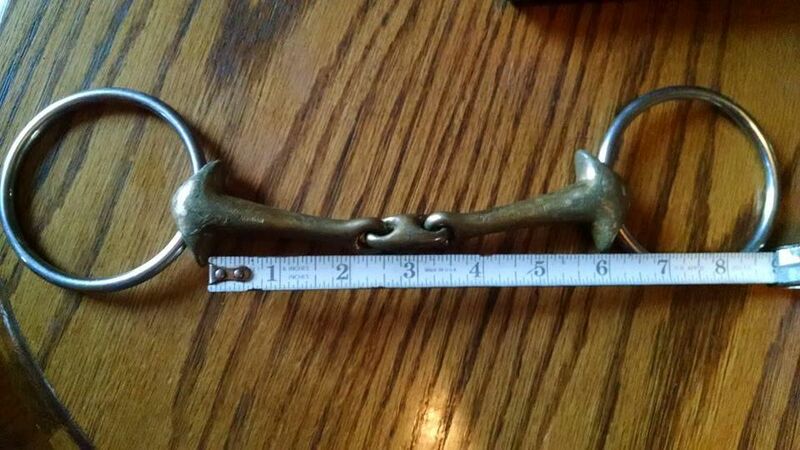 So today's tack review is going to be simple! I decided to review the Neue Schule Verbindend. I think I mentioned a few posts back that I'd been having some problems with intermittent teeth grinding with Ruby that I originally chalked up to being due for a float, but it continued after her annual float this spring. 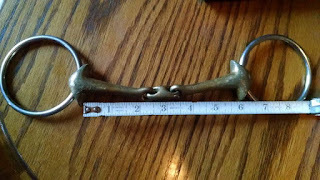 While I don't typically play "musical bits", I started exploring a little to see what else was out there that was dressage-legal. Stock photo of the Verbindend. My go-to bit is a loose ring, french link snaffle. Everything I train gets started in one. I prefer to keep them in it as long as there aren't any issues. When Topaz left for her new home in Arkansas, I sold the new owner the bit she was being ridden in -- very basic, cheapie french link snaffle (although it was a 5.5", so wouldn't fit anybody else, hence my willingness to part with it... haha). 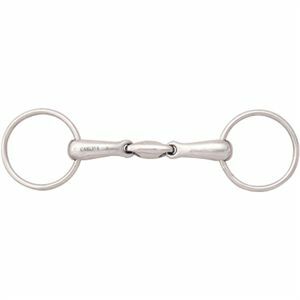 Over the past few years, I've dabbled a bit with Happy Mouths, bauchers, eggbutt snaffles, french link snaffles with flat or rounded center pieces, etc., but I always come back to my trusty loose ring. But a friend recommended the Neue Schule Verbindend after we discussed some of the behaviors I was dealing with, so I started doing some research. Something that most of my readers (who probably know me in real life) know about me is that I'm a bit of a bargain hunter -- I'm not one to have the latest and greatest anything. I don't buy $300 breeches, $100 riding shirts, or $600 custom helmets. And the idea of a custom saddle makes me break out in a cold sweat. As long as it's functional, I tend to stay on the cheap side. The only exception to that would be browbands and saddle pads, and even with those, I have hard limits (I'm looking at you $200 browbands -- nope nope nope!). So the $130+ price tag of the Verbindend was immediately a sticking point. Unwilling to completely let go of the idea, I shopped around looking for someplace that would let me trial one. After reading some discussions in a dressage FB group, I reached out to SmartPak (who carries the Verbindend) to clarify some points of their return policy. After being assured that I could return the bit within 60 days if I didn't like it (providing it was still in like new condition), I decided to take a leap of faith. Let me give public kudos to the SmartPak customer service team -- I reached out over the weekend and had a reply first thing the following Monday morning. The rep and I communicated back and forth over the next 48 about the return policy, sizing recommendations for this particular bit (ordered a quarter size larger than her current bit), and even a question I had about a possible discount that I didn't think was applied correctly to my shopping cart. So many kudos. After being satisfied that it was really a win-win situation (either the bit would work for me, or I could easily get my money back), I pulled the trigger. 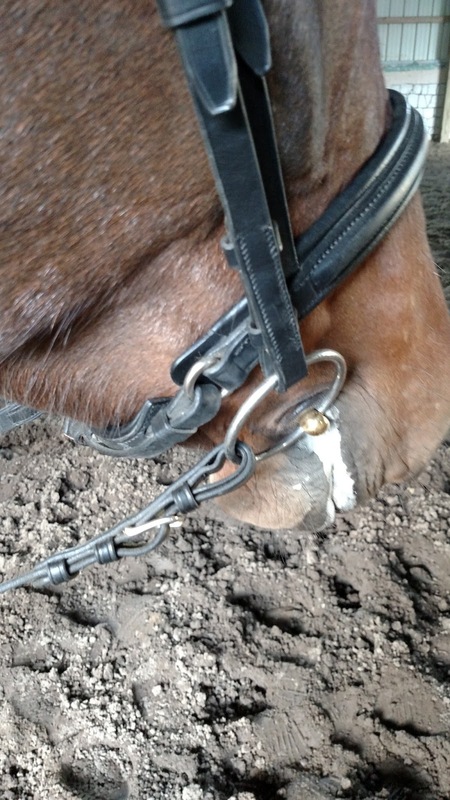 Bit arrived a few days later, and I immediately swapped it out on Ruby's bridle. We're so fancy. 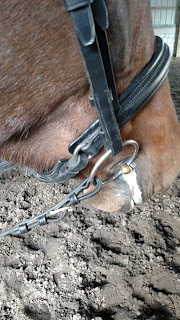 Ignore the dirty bridle... haha. I'll be the first person to tell you -- a bit is not a magic wand. A bit isn't going to "fix" all your problems. However, a good bit can help open lines of communication, and keep your horse more comfortable, and for me, that's what it's about. My first ride with Ruby in the Verbindend was like a lightbulb going on -- it was wonderful. We had several rides after the initial ride that were only so-so. The bit isn't a one-size-fits-all band-aid. But I do think that Ruby goes better in it, so I decided to keep it -- even after the clinic where the teeth grinding was directly linked to my tenseness in my hands. Taking that out of the equation, I still think Ruby goes better in the Verbindend than she did in the previous $30 Korsteel she was sporting, so it can stay. Also dabbled with one of these, but sold it (too big for everyone but Topaz). 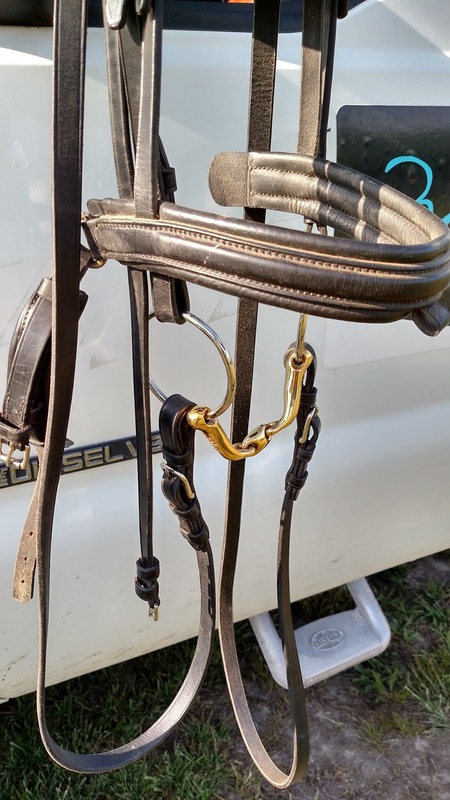 Quick recap of the Neue Schule specs: it's made of Salox Gold, which warms to mouth temperature quickly to make the bit more comfortable in the horses' mouth and aiding in relaxation. The shape of the Verbindend creates a channel for the tongue, making softening/relaxing the jaw easier, and discouraging tongue evasions. I will also add that I've noticed an increase in "foam" for about 75% of our rides in the Verbindend. I wouldn't say Ruby was a particularly dry-mouthed horse -- we did get foam pretty regularly even with our "cheap" bit, but I do think it has improved with the Verbindend. And she is definitely seeking the connection more and staying with me longer. 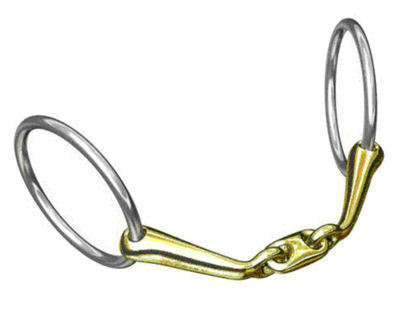 I'm not advising everyone to run out and buy expensive bits -- Topaz went better in my $20 used Korsteel than she ever did in my $$$ Herm Sprenger (identical styles) -- but if you are interested in trying it out, I can wholeheartedly recommend buying from Smartpak! The return policy is a LIFESAVER! Color Options: N/A -- although the silver/gold combination annoys my matchy-matchy heart a little bit... I kind of wish it was all gold... haha.